Sweet anticipation for those with a sweet tooth! Our Chocolate Advent Calendar with your favorite design ensures fun for all with a sweet tooth. The countdown to Christmas will be even more exciting with 24 brightly wrapped milk chocolate balls hidden behind their favourite photo. 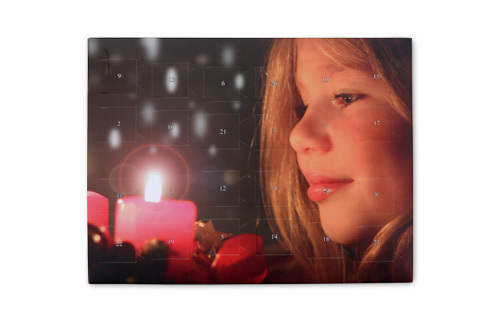 Whether for small or "big" kids - with our chocolate advent calendar you can make your December extra special!